SOUTHWESTERN SPICE RUB: Combine all ingredients in a small bowl. Store in an airtight container. SALSA: Combine all ingredients in a small bowl. CHOPS: Preheat a grill to medium-high. Generously season chops with spice mixture. Lightly brush grates of the grill with a small amount of oil. Place the pork chops on the grill. Cook 4-5 minutes on the first side. 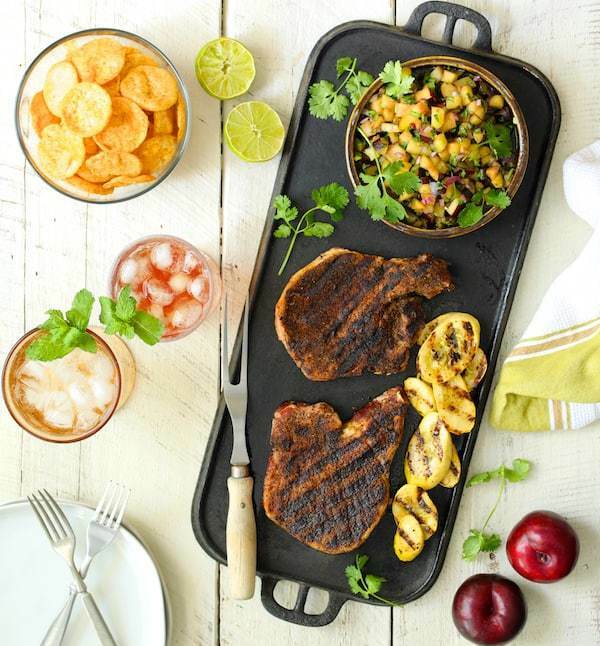 Flip and cook an additional 2-3 minutes or until pork chops reach an internal temperature of 155 degrees.